And today were going to cover kids’ clothes and toys. Ready? Let’s do this! Clutter hotspot #6: Kids’ clothes. Clothing can quickly become a source of clutter if you have more clothes than will fit in your available storage space. (This problem isn’t unique to kids’ clothes, by the way.) While having plenty of clothes can feel like a good thing, it can lead to additional sources of clutter, such as overwhelming piles of clothing in the laundry room. So here’s what to do. 1. Figure out how much you and your kids really need. In this post, Closet Organization Q+A: How Many Clothes Do You Need?, I provide guidelines for figuring out how much is enough. Once you figure out the magic amount for your family, whittle your wardrobes down to that level. Your goal is for everyone’s clothing to fit in the available storage spaces. 2. Figure out an approach for hand me downs. It’s great to keep clothing to pass down to younger siblings or family and friends, but (there’s a recurring theme here) you’ve got to have the storage space for this to work so it doesn’t cause clutter. First, carve out a spot for hand me downs. This could be in the next-in-line child’s bedroom or you could keep hand me downs in a centralized location, such as in bins on shelves in a storage space in your home. Then do a sanity check on what to keep for later. You may not want to keep 100% of outgrown items for younger children. Take it from a youngest child, everyone wants at least a few new-to-me articles of clothing whenever the budget allows. Clutter hotspot #7: Kids toys! Gosh, it’s been a while since we’ve had toys in our home. So even though toy clutter might drive you batty now, keep in mind there will come a day when you’ll miss those little people cluttering up your living areas with their toys. I realize that doesn’t change how the toy clutter makes you feel, but it’s important to keep in mind when you find yourself reaching your wits end with toys. 2. Assess your storage. 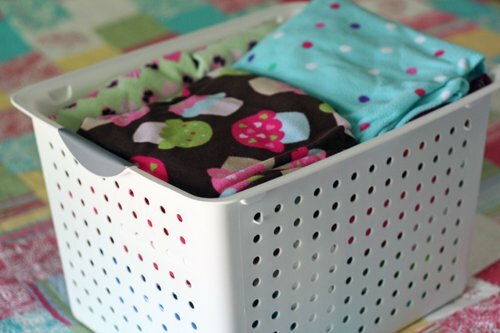 Toys, like craft supplies, will create far less clutter if they are stored near to where they are used. If your child loves to play in the family room, carve out toy and game storage in this room. Do this even if you can’t keep all of your child’s toys and games there. The key is quick and easy clean up. 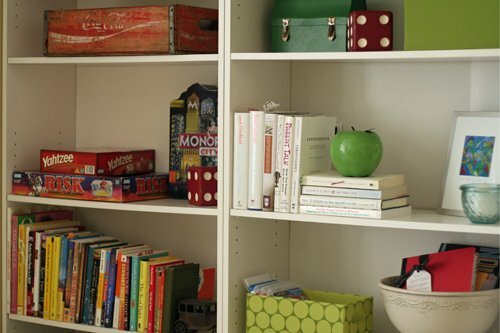 When the toy and game storage in the family room starts to overflow, move some toys and games back to a main storage area, such as in the playroom or your child’s bedroom. 3. Work on the clean-up habit. Start ‘em young, friend. Even if your child doesn’t put things away perfectly, work with him or her to create the habit of cleaning up when he or she is finished playing. Cleaning up is a habit that will serve you both well for years to come! 4. Use labels. Labels make it easier for kids to know where toys and other items belong. For pre-readers use labels with an image of the item as well as the name. Labels like these will help your children learn reading skills while they’re cleaning up. A win-win! Alright…clutter caused by the kiddos is a wrap! What ideas work for you when it comes to kid clutter? I’d love to hear your ideas in the comments! Thanks for sharing. Tomorrow we’ll move on to our next clutter hotspots which is clutter caused by stuff to sell and books! I love these tips! We don’t have too many hand-me-downs that go from one sibling to the next, but I do send a lot of my son’s stuff to my nephew. I am lucky to have a large closet in my bedroom, so I keep a bin just for him in there. I also keep a donation bin there too. It is so easy to just toss items in. When the bins get full, I either deliver the stuff to my sister or schedule a pickup. We also have a twice-a-year ritual: the kids try on all their clothes & I note what items I need to buy. The kids hate this but it really helps me buy only what they actually need. And yes, when you’re being driven crazy by toy clutter it is hard to imagine that that phase will ever end….For years my house was overrun by trains, but now that they’re all gone I really find myself missing that period and my little boy’s obsession. Thanks, Nancy. I make my kids try on clothes, too, before buying new stuff. Makes so much sense to only buy what you need. We also do the twice a year shovel out of their rooms and toys. We cover EVERY surface in their room and every item they own. It’s a big job for some of them, and pretty easy for the ones who arent clutter bugs. It’s been good to watch them make the connections, and when it’s all said and done they love living in their rooms again! Thanks for sharing Tiffany! It is worth the effort, isn’t it? ideas which are provided on your website are really helpful and can be implemented easily. I am also a blogger who provides information on home organizing.